Expected to go on sale in 2018. 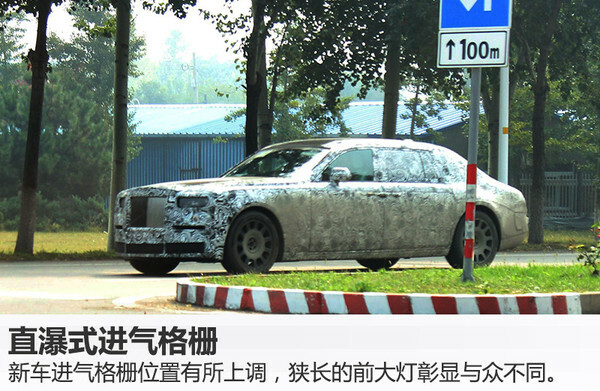 The 2018 Rolls-Royce Phantom has been spied testing yet again, this time in China, courtesy TOM. 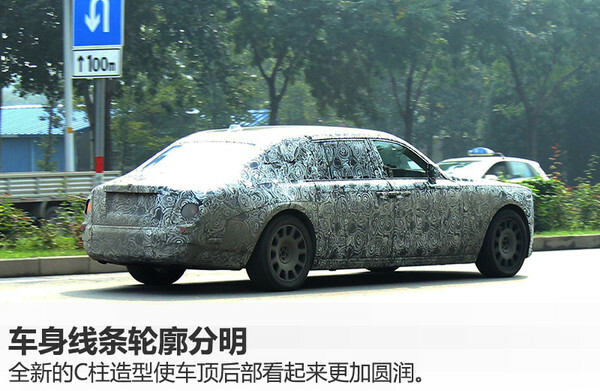 The seventh generation Rolls-Royce Phantom is becoming history this year, paving way for the all-new, eighth-gen model. The next-gen Rolls-Royce Phantom will be underpinned by an all-new aluminium space-frame architecture. Being heavily camouflaged, the test mule doesn't reveal the detailing, but does indicate that the eighth gen would feature the same design. A portion of the new generation model's body shell was officially revealed in July, which told us that the car's shape remains unchanged. The rear doors will continue being large in size for effortless ingress and egress. The next-gen Rolls-Royce Phantom will reportedly be the company's first car to be underpinned by an all-new aluminium space-frame architecture that will be utilised for all future Rolls-Royce models, including the Rolls-Royce Project Cullinan. The aluminium architecture should help in making the Phantom significantly lighter. The 2018 Rolls-Royce Phantom should be powered by a V12 engine as standard, although no confirmation is available for the same yet. There's no word on the 2018 Rolls-Royce Phantom' power source, and while a V12 petrol engine is likely to remain, it's to be seen if Rolls-Royce will introduce electrification on the Phantom.